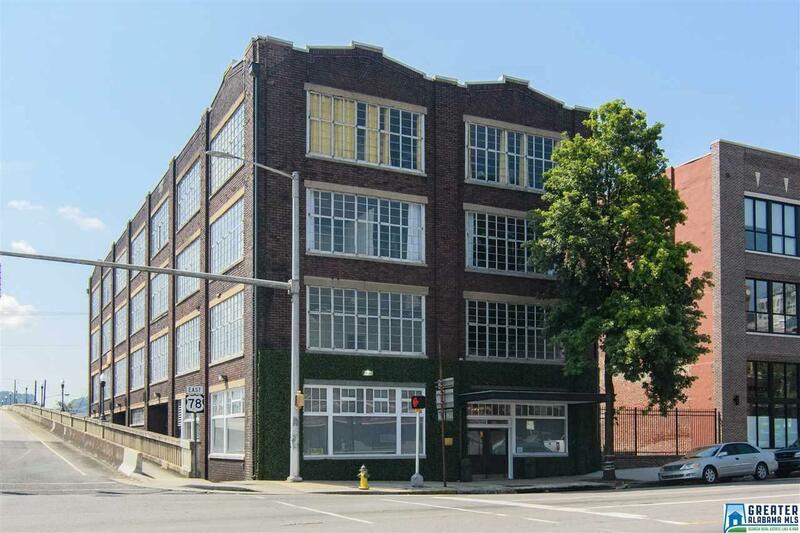 2329 1st Ave N #102, Birmingham, AL.| MLS# 825033 | Richard Jacks UABLIVING.com 205-910-2297 | Birmingham AL Real Estate | Contact us to request more information about our Homes for Sale in the Birmingham AL area. Welcome to The Franklin! Downtown Birmingham&apos;s latest condominiums. Built in the early 1900&apos;s, the Franklin originally served the Franklin, Stiles, Franklin Grocery Company in what once was the Grocery District of Downtown Birmingham. Unit 102 is a beautifully appointed New York style loft STUDIO located along historic 1st Avenue North. Features include concrete floors & ceilings, painted brick walls, 11+ ceilings, Quartz counters, stainless steel appliances, and a personal storage locker! Enjoy panoramic views from the building&apos;s roof terrace and downtown living at its finest!